The Mind is a Collection: we are a culture of possessors-- and that culture bleeds into our sense of ourselves. We are all, by this account (each and every one of us) curators of a museum of ideas. 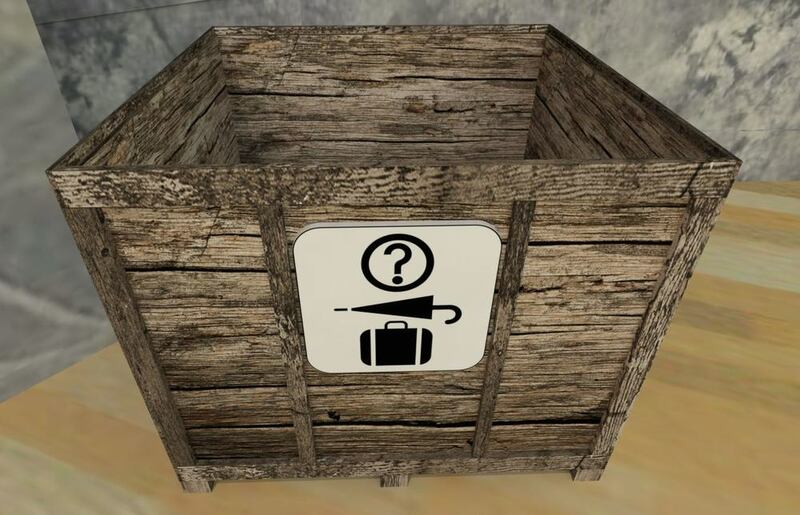 We own ideas in the same way that we own objects; we "have" ideas much the same way that a crate holds books. Our powers in our private intellectual kingdom are the same as those in the material world; we may combine, divide, or compare, but never create or destroy one particle of an idea-- or so says John Locke. But this paves the way for a paradox, a strange, vertiginous dispossession. The ideas that are most truly our own have been borrowed from somewhere else; our most powerful insights are pieced together out of bits and pieces belonging to others. We quilt our way towards novelty. Those interested in the intellectual lumber behind The Mind is a Collection are welcome to browse through the Lost and Found. Here you will find the debts that sustain The Mind is a Collection. (You are also welcome to consult the notes in the exhibit catalogue available at the Gift Shop.) It is as likely as not that some of your ideas will have been collected here. We are all creatures cobbled together out of other people's things, and so is The Mind is a Collection. If I had the chance to do this over again, I would change the title: the Mind Is a Lost and Found. Document Title: "Bibliography: The Mind is a Collection"
Location: Click HERE to download. 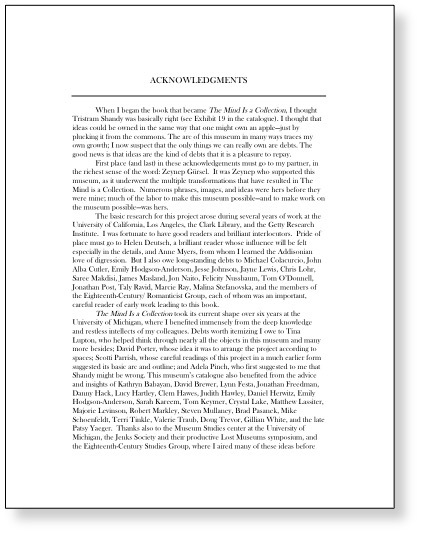 Notes: Contains a list of works cited in The Mind is a Collection (Penn, 2015). Document Title: "Bibliography: Cognitive Studies and Literature"
Notes: a list of books and articles assembled for a graduate course entitled "Between Cognition and Literature." Notes: a partial list of persons and institutions whose ideas add up to The Mind is a Collection.